What a game! If you’re going to lose, at least do it in a slug-fest. Glad to see Mr. Remy is back. At least RS fans had something to be very happy about. I totally agree. At least we could slug it out too. Yep, maybe more to be happy about today! You nailed the good, bad and ugly. 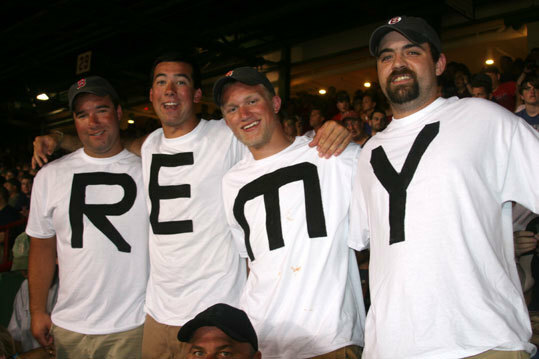 First off, I wasn’t happy that I got the game on NESN instead of YES here in California, but I was very happy for Sox fans that Remy was back. 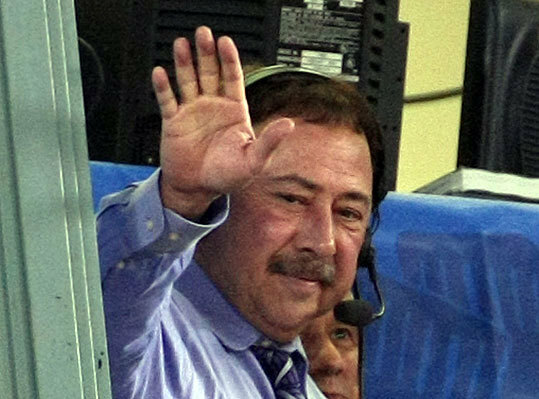 I listen to a lot of “away” broadcasts and I must say that Remy is always fair in his assessments and never needlessly bashes the Yankees as some do in other cities. Glad he’s doing well and back at the mic. As for the game, you’re right: your offense was just fine. So was Ellsbury’s running game. It was the pitching that was rocky. Ours was too. There was sloppiness all around. Oh, well. Here we go again today. I’m trying to rest up! It was a crazy game! If our pitchers were better we would have won the game for the Yankees’ pitchers weren’t on either. Today’s game will be interesting! That Remy guy reminds me of the announcer from “Celebrity Death Match.” Funny. You guys sure bounced back after yesterday, huh? Man, 14-1 is brutal. You had no mercy. Regardless, I have to root for you guys to lose tomorrow so my Rays can pick up another game and get within 2 of the wild card. This is fun! Jacoby is a monster. And in the future, I look for a good 70 SB. No one has seen his speed in awhile. Jacoby is the man!! So is Rem-Dawg. I’m so glad he’s going to be around more. I’m back from Maine, what part of Maine did you go to? I hope you had a great time! Sometimes Red Sox have more offense other times they don’t. This series, they lost because two of the three games their offense didn’t come alive. I think the Red Sox need to do better than that if they’re going to win this division. Scoring is alot easier when You have Jacoby Ellsbury single, steal second. 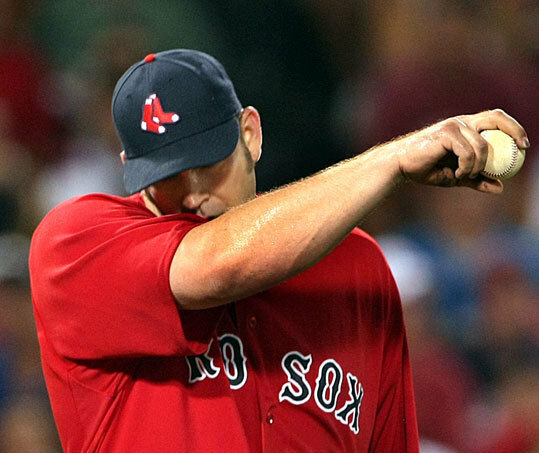 Have Dustin Pedroia bunt him over, and have Youk or Bay or Victor whoever bats third knock him in. The Red Sox have one of the most potent lineups and you are lucky! The Indians aren’t looking half bad though. I was there! Man… that was kind of disappointing though to see such a blowout. I loved watching the slug fest though! It was great! 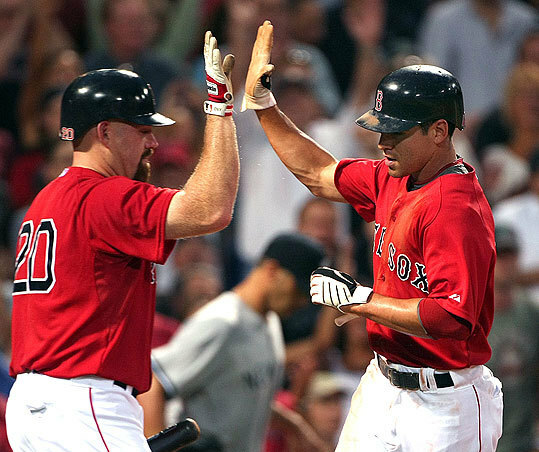 I’m a big Jacoby Ellsbury fan, so it was great to see him play well that night!